Young Fine Gael’s call for An Taisce to revise its recently published climate action teaching resource. 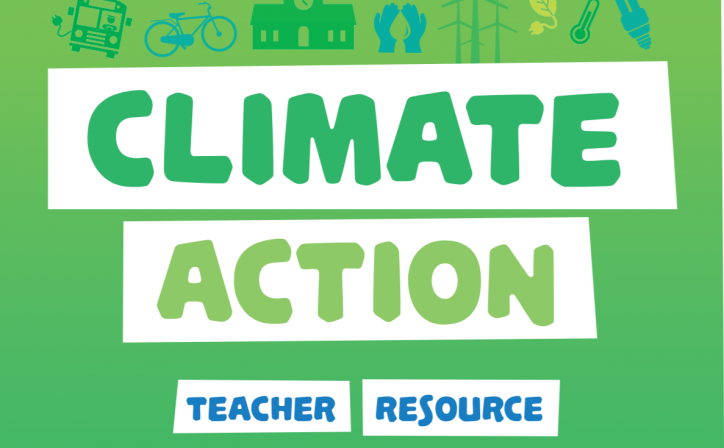 The downloadable resource recently launched by the Green Schools programme contains a range of lesson plans, presentations, surveys and data on climate change and action. Reducing meat and dairy consumption in school is a goal outlined in the Climate Action Plan section of the resource, which includes a suggestion of hosting vegetarian or vegan potluck tasters and running #MeatlessMonday campaigns. In a statement released today, Young Fine Gael (YFG) said that the resource conflicts with dietary advice from the Department of Health, claiming that the document asks “young people to reduce or wholly cease their consumption of meat and dairy”. “An Taisce’s efforts to combat climate change are welcome,” Young Fine Gael president Killian Foley-Walsh said. “However these efforts must be supported by the science, and claiming that young people should severely limit their consumption of meat and dairy products is in stark conflict with the advice of the Department of Health, which is to eat plenty of both,” he continued. Director of Friends of the Earth Ireland Oisin Coghlan said that he was “genuinely flabbergasted” by YFG’s statement today. “Young Fine Gael has given a real two fingers to the thousands and thousands of their peers who joined the school strike for climate last month,” Mr Coghlan told The Green News. “What their message sounds like is we don’t care about our generation’s long term future as much as we care about the agri-industry’s short-term profit,” he added. Thousands of Irish students took part in the international School Strike for Climate Action last month. The next international march is set for 24 May. The Healthy Food for Life Pyramid from the HSE currently recommends two servings a day of meat, poultry, fish, eggs, bean and nuts and 3 daily servings a day of milk, yogurt and cheese, recommending up to 5 servings of dairy per day for anyone between the age of 9 and 18. Nevertheless, recent studies have stressed that in order to avoid dangerous levels of climate change, a substantial reduction in meat-eating is imperative. A landmark Intergovernmental Panel on Climate Change (IPCC) report released last October states that eating less meat and dairy was a necessary step for populations to take in order to reduce global warming. A further study published in Nature last year recommended a 90 per cent drop in Western beef consumption to be replaced by a fivefold increase in beans and pulses in order to limit the environmental impact of the current Western food system. Additionally, the 2018 Eat Lancet report found that global consumption of fruits, vegetables, nuts and legumes should double in order to ensure a sustainable diet for both humans and the planet. “This isn’t ‘dietary advice’, folks. This is part of what we need to change so the human race can continue to thrive & avoid catastrophic climate change,” Dr Augustenborg said. In a tweet this morning, environmental campaigner and member of An Taisce’s climate committee John Gibbons said that “nothing remotely” like a severe limit of meat and dairy consumption appears in the climate action resource, “which is NOT about ‘dietary advice’”. Beth Doherty from School Strikes for Climate told The Green News that while protein is an important element in young people’s diets, An Taisce is “correct in suggesting reducing beef consumption”. “Ireland is the most carbon-intensive beef producer in Europe and the rearing of cattle contributes more to emissions than the entire transport system,” the 15-year-old said. “A balance needs to be found where we can ensure livelihoods of farmers and correct nutrition for young people through various protein sources, while avoiding greenwashing and still reducing our emissions. Kayle is a multimedia journalist focused on climate and environmental issues and contributes to The Irish Times and The Green News.